Welcome! My name is Adam Ramey and I am Associate Professor of Political Science (with tenure) at New York University Abu Dhabi. I received my Ph.D. in political science at the University of Rochester in 2010. I specialize in American politics, political methodology, and formal theory. My research focuses on the applications of cutting-edge methodologies to the study of legislative and electoral behavior. 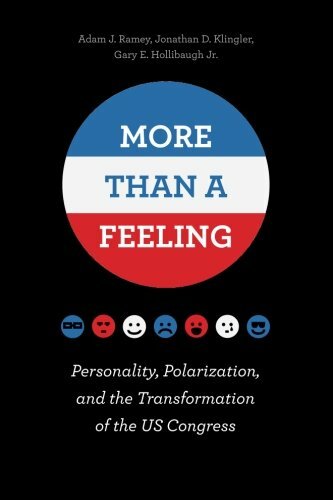 In my recent book, More Than a Feeling: Personality Polarization and the Transformation of the U.S. Congress (University of Chicago Press, 2017), my coauthors and I develop text-based methods for measuring legislator personality from 1996-present. Using these measures, we examine how legislator personality traits impact the sorts of decisions they make, even after accounting for party and ideological preferences. Please use the links above to navigate the site. Therein, you will find information on my latest research and teaching endeavors. I may be reached via e-mail at adam.ramey@nyu.edu.